According to a report from ROI Revolution, roughly twice as many shoppers begin their searches on Amazon versus Google. And as Google showed the world with AdWords and Google Shopping, paid placements atop a robust organic search engine transformed eCommerce. But Amazon isn’t just a search engine with a “buy” button next to everything, it’s also a destination for people to research products and read reviews, with potential to drive offline brick and mortar traffic. It’s becoming clear that, for brands, Amazon represents tremendous potential as a platform for advertisers and marketers. Amazon has been offering paid/promoted placement (search) for a while, but wait, there’s more. They want to expand, offering brands better data and algorithms to ensure their items get in front of the ideal customer. They’re also selling custom pages with built-in video and stories to help brands stand out from the competition. Just take a look at this Acura ad. The takeaway for brands is to pay attention to the “non-obvious” (a Rohit Bhargava term I love). Unlike Facebook and Google, Amazon is the shortest step between people and the stuff they want, and they have a fierce loyalty program that keeps growing. They’re also excelling in the original content game which offers opportunity for some very creative innovations connecting high-quality programming with promotions. And when/if voice becomes more ubiquitous, Alexa seems to have the most potential given the infinite world of products it can be the gateway to. Also, despite Facebook and Google having the lion’s share of digital ad revenue, they’re not immune to problems. I agree with Bob Hoffman who says, “Facebook’s ad model is dangerous.” They do everything they can to blur the lines between what’s an ad and what’s content. And while Google is attempting to make YouTube Red a viable alternative to Netflix, Hulu and Amazon Prime Video, will free YouTube’s monetization of stupidity (as evidenced by the current Logan Paul controversy, or countless “rooftoppers” falling to their deaths) force the platform to change, either from regulation or public pressure? Increased regulation around data privacy and GPDR could also adversely impact many digital ad platforms. While Amazon has fabulous customer data, how and with whom that data can be leveraged should be expected to change too. 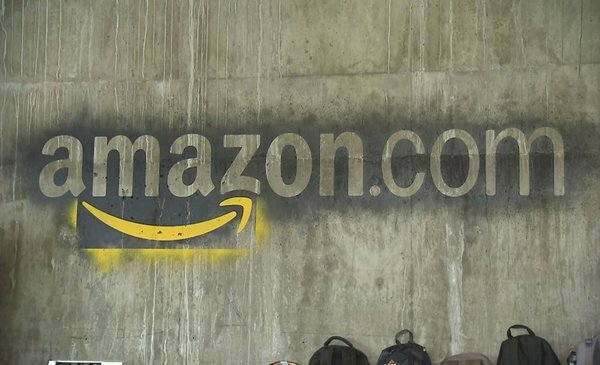 The bottom line: Amazon is gearing up to be a major ad player at a time when disdain for the established digital duopoly of Facebook and Google is at an all-time high. Smart brands are watching.